How to book a Jeep Safari Tour? 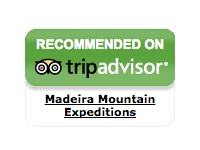 Simply choose one of the 4x4 Madeira Tours we have available below, you can choose the day of the week you want to discover the beautiful places of Madeira. With some prior request we organize several activities for small or large groups. Bring your enterprise and/or your friends, and let us organize your days. Payment is made on the day in EUROS for individual trips to either your driver or guide directly, cash preferred. Checks are not accepted. For Logistical reasons, we regret that no refunds can be given for cancellations made less than 12 hours in advance. “No SHOW “clients will be charged for in Full. *** only when booked via internet.